For people with arthritic hands, the elderly or little kids, it can be a nightmare using the normal square flannel. Now I love to recycle and for this project I have used a small bath towel that was getting a bit thin and therefore is perfect for making flannel mitts out of it. This bath towel had a nice border so I cut the part above the border off. 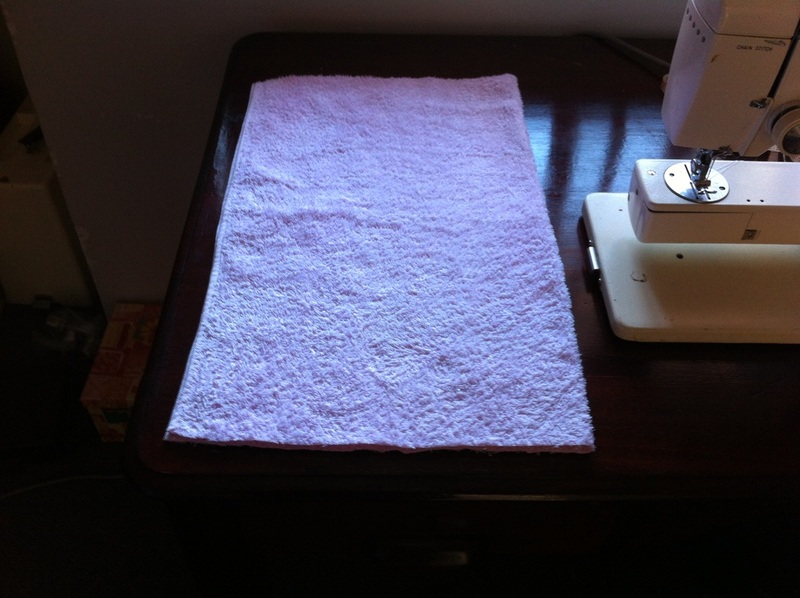 I then used the width of the towel to cut 2 pieces - each are 21cm long and 26cm wide. 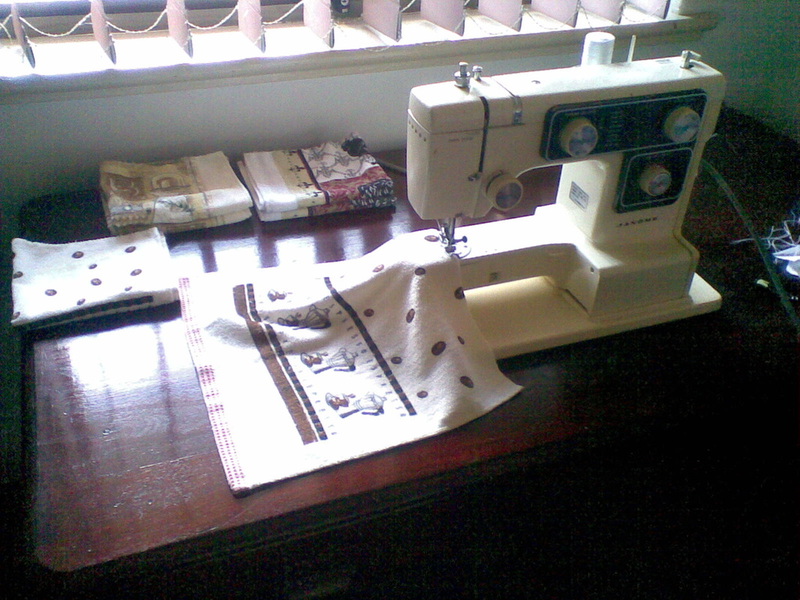 I then used the sewing machine to Zig zag over lock the frayed borders. Fold half of the top (fancy) border and sew it in place. 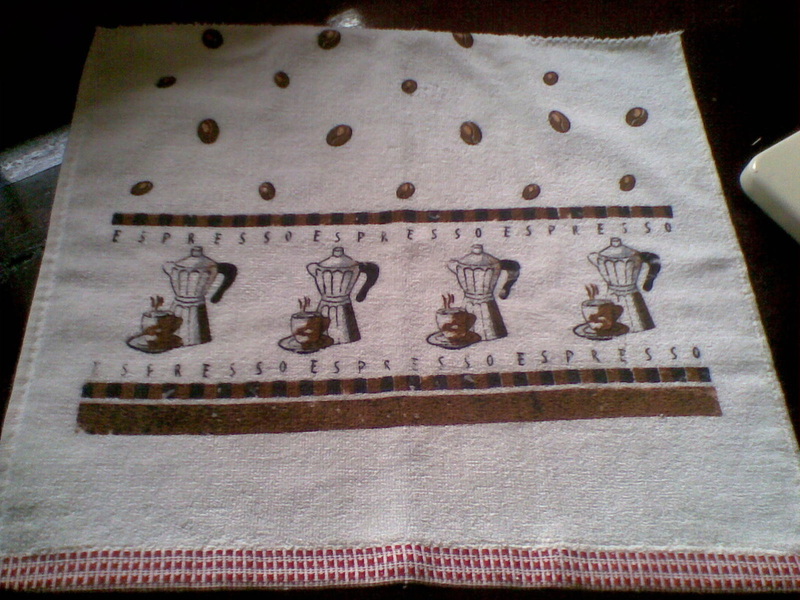 Then fold the cloth sideways with the border touching. 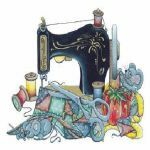 Make sure you have the good side turned in before sewing the sides together. I used the bottom part of the towel to make the other 2 flannels as that too had this nice border. Turn the flannel the right way and voila ... all done :) I did make 4 pink flannels with that nice border and 3 plain bordered ones. Having used both ends of the towel I was left with the middle part. Not wanting to throw that out I decided to make a bath mat out of that. Either use it as a bath mat or maybe as a towel for your pet. The remainder of the towel already had 2 sides hemmed so all I had to do was zig zag, over-lock the frayed sides. 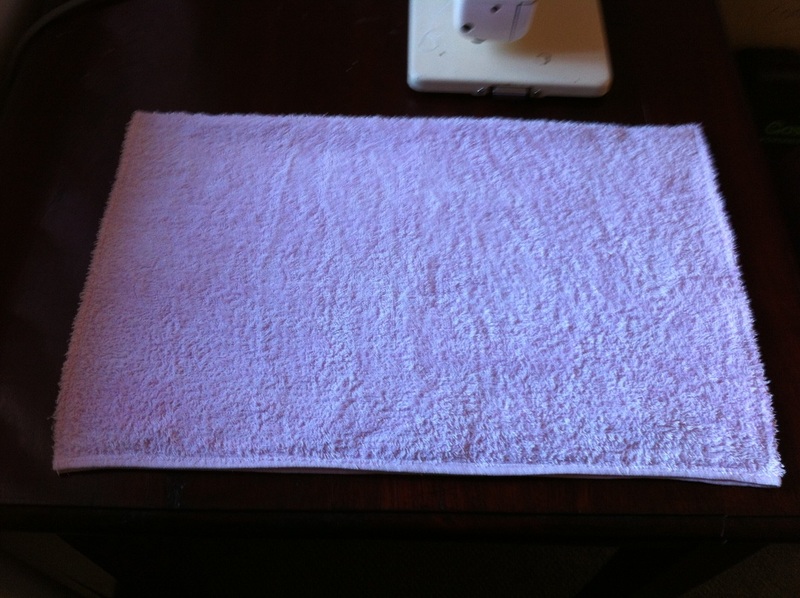 I then folded the towel with the hemmed sides touching while folding the frayed, over-locked sides in. 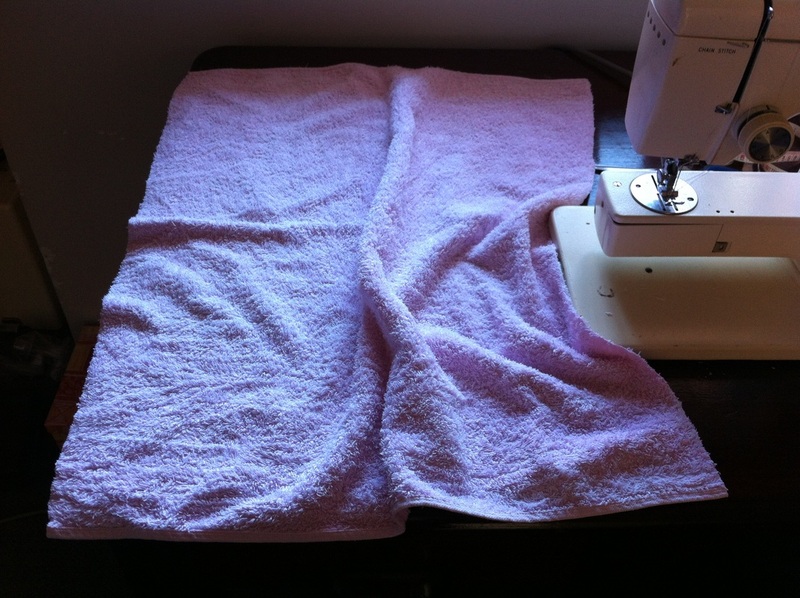 I pinned the folded in sides together and then using the sewing machine, sew it all together around all 4 edges; making it a double thick bath mat or pet towel. 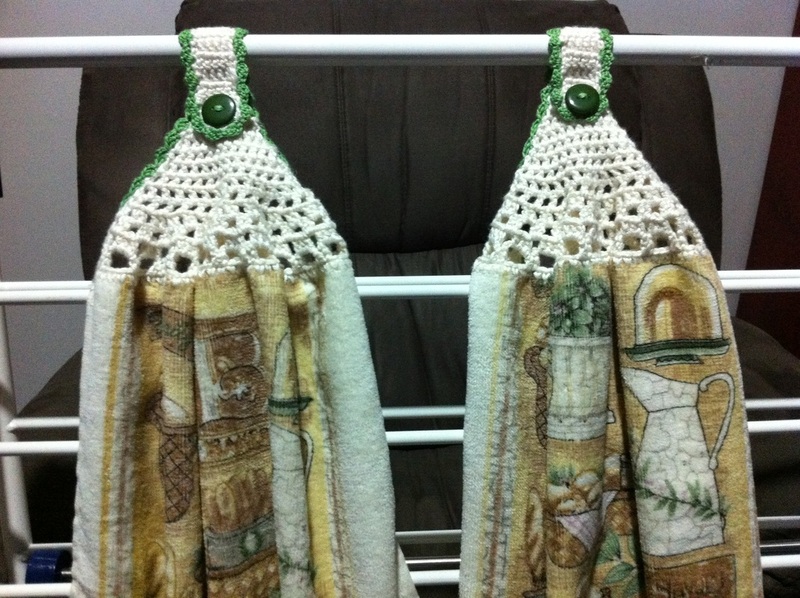 My collection of Crochet Hand Towels I have made or I am working on at the moment. 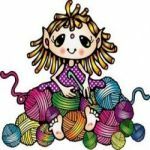 I find nice hand towels and cut them in half, hem or zig zag the frayed part where I cut the towel and then crochet the rest. The towels I bought where all easy ones to cut because the images on them where put on in such a way that they where mirror images. So I cut the towel in half between the images so that both halves have the image but also the nice border you see at the bottom of the towel. 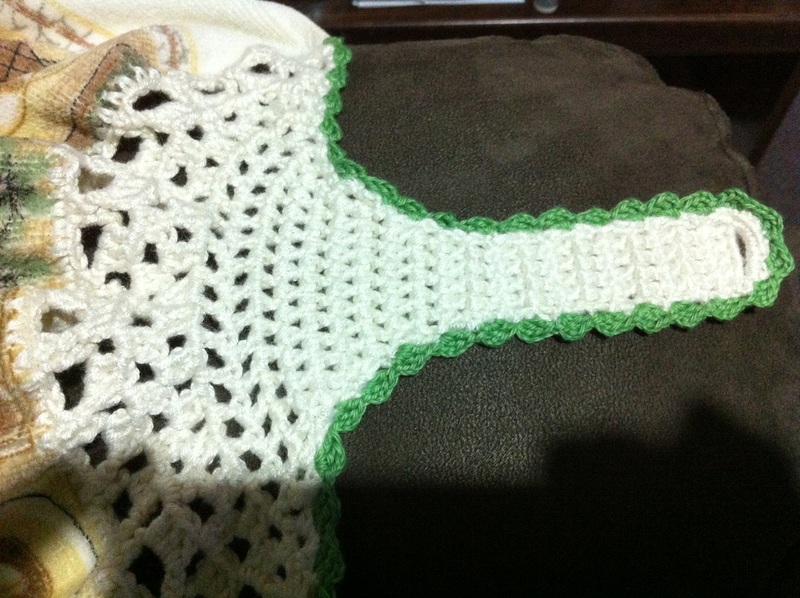 The challenge has been to find the right colour crochet cotton and buttons but I'm getting there lol. Seeing as the towels are cotton I am trying to only use cotton for the crochet part so that the towel will keep it's shape after washing. 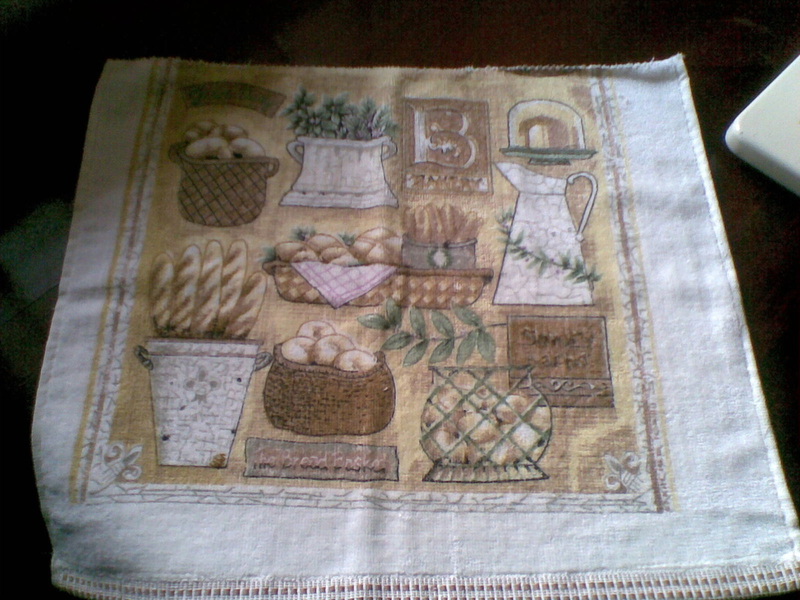 The coloured border is done with needle 1.75 mm. I enjoy making my own things and I prefer to make items that are usable around the house. Not only do I get the pleasure of using these items but they have turned out to be great gifts too.